I have been wondering about writing this post for a while now. I may be in the minority, but the whole point of having a blog really, is that you can speak your mind and be yourself, so I really think I need to say this. It began with a tweet from Burberry during the BAFTAs. The idea was to draw attention to the celebrities that were wearing their clothing. 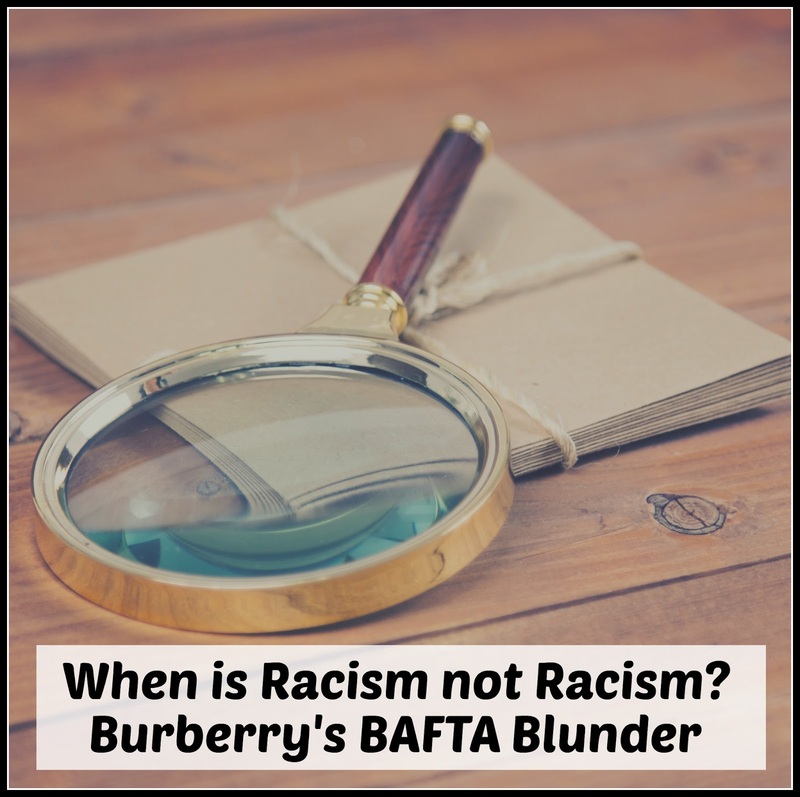 However, in all the excitement, Burberry made what turned out to be a fatal error. They confused a British-Indian actor with another, of Pakistani descent. People got very cross and were outraged at this terrible crime and rightly so, if I was either of the gentlemen involved, I would have been understandably peeved that my unique attributes had failed to imprint upon Burberry's tweeter. But was it racist? I don't think so, and here's why. Firstly, the most obvious point. If it had been two white celebrities, would it have been a racism issue? Probably not. Mark Wahlberg and Matt Damon are often referred to as 'celebrity look-a-likes' and enjoy sending each other up, and their fans, with this fact. Have they ever accused anyone of racism (regardless of their skin colour) for asking one of them for the other's autograph? Nope, not a chance. I don't know why, but I sometimes get Judy Dench confused with Helen Mirren. This might make me an idiot, but it does not make me a racist. Almost identical black suit (apparently one is grey mohair, and one navy, but if you look at the two photos quickly, I don't think it's obvious). Even the same shaped ears! Thirdly, the science bit. The brain apparently differentiates between individuals by looking beyond the obvious features that we all share, to the more specific ones, such as age, eye colour, hair colour, facial hair, etc. There is also scientific research to show that the human brain finds it easier to recognise people from its own race. Not because the world is inherently racist, but because that is how the brain has evolved. The brains of people from different races actually use their own methods of facial recognition to separate out individuals. For example, westerners concentrate on a triangular area between the eyes and mouth, whereas the Chinese focus on the centre of the face. So, scientifically speaking, it is entirely possible to confuse two people by being stupid, misinformed, rushed, or vacant, but not racist. The point of all this is simple. This was a mistake. A publicity person got something wrong. This is not, in my opinion, automatically racist. It's just someone not concentrating when they really ought to be. It's insulting for the individuals involved, sure. Dev Patel and Riz Ahmed are accomplished actors in their own right and should absolutely be respected as such, particularly at a ceremony celebrating film. Racism, however, is a vicious, hateful crime. It's nasty insults, it's aggression, it's violence. It's ignorant, bigotted individuals using their supposed superiority to make other people feel small. 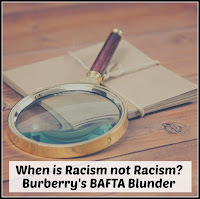 We should do everything we can to stamp it out at every opportunity, but by labelling every incident involving race as a racist incident, we are straying from the point. When I look at those two actors, I don't see two men of Asian descent, I see two actors who, if I looked quickly, and was distracted, or an idiot, I could maybe think looked a bit similar. Until we start seeing people as people, and mistakes as maybe just mistakes, we are never going to win the battle against racism because we are focussing our attention on the wrong people. There are enough genuine racists in the world who deserve our anger, without spreading labels where they don't belong. That's my two pence, anyway. Sorry, if you think I'm wrong, I don't want to offend, but in my world, people are people and idiots are just idiots. don't know how tall these 2 gents are, but the phases tall dark and handsome springs to mind. I remember! I think you're right, when people aren't familiar to us, we don't notice as many of their distinguishing features as we do when they've been a round a while. I can appreciate how people from different parts of the world find it hard to tell the differences with other races -I know I'm certainly one of them - like you said it's just the way the brain is wired up and links to evolution. I would hate for someone to think I'm being racist, just because I'm not very observant at times!